Objective: The Reproductive and Child Health Project Phase 2 seeks to increase utilization of a package of essential health services by pregnant and lactating women and children under the age of five, and support the emergency response needed to contain and control the Ebola crisis. Sierra Leone has some of the poorest health indicators in the world. In 2008, it recorded a life expectancy of 47 years, an infant mortality rate of 89 per 1000 live births, an under-five mortality rate of 140 per 1,000 live births and a maternal mortality ratio of 857 per 100 000 births (SLDHS, 2008). Major causes of morbidity and mortality in Sierra Leone are preventable, with most deaths attributable to nutritional deficiencies, pneumonia, anemia, malaria, tuberculosis and now HIV/AIDS. Malnutrition is prevalent with 21 percent of children under-five found to be underweight or too thin for their age while 36 percent were stunted or too short for their age, and 10 percent were wasted or too thin for their height (SLDHS 2008). Further, children in rural areas are more likely to be stunted and wasted than children in urban areas. There are insufficient numbers of health facilities that are equipped and staffed according to standards necessary to provide emergency obstetric care. There is no functional referral system in many districts, leading to delays in the provision of comprehensive emergency obstetric care. In addition, health care costs remain very high in Sierra Leone and a high proportion of the financial burden of care is shouldered by patients – with out-of-pocket health expenditures representing 70 percent of total health expenditures (NHA, 2007). The Reproductive and Child Health Project Phase 2 used performance-based financing (PBF) to improve access to and the quality of basic services provided in the context of the Government’s Free Health Care Initiative. The PBF scheme, known as “PBF Light” was implemented nationwide and covered 1200 primary health care facilities and six hospitals. At primary health care level, the Ministry of Health and Sanitation (MOHS) contracted peripheral health units to provide a pre-defined set of services, including family planning; antenatal care; skilled deliveries in the health facility; postnatal care; complete vaccination of children under one; and outpatient consultations for children under five years. There were also nine cross-cutting indicators based on facility administration. PBF payments were made quarterly by the Ministry of Finance and Economic Development (MOFED) based on the quantity and quality of services provided. These payments were adjusted based on the remoteness of the health facility and the poverty levels surrounding the facility (equity bonus). At hospital level, the MOHS contracted hospitals to improve the quality of services through the following services: (i) general organization; (ii) human resources management; (iii) financial management; (iv) pharmaceutical management and preventing drugs stock out; (v) hygiene and sanitation; (vi) patient care; (vii) health care services; and (viii) laboratory. PBF payments were disbursed quarterly by MOFED only when a quality score above 50 percent was obtained. Further, while PBF-plus dedicated 60 percent of PBF payment to incentivize staff, PBF-lite committed 60 percent to service improvement. Evidence indicates that motivation was most affected by the proportion allocated to incentives. At primary healthcare level, the RBF verification function was led by a joint team of Local Councils/District Health Management officers. On a quarterly basis, this team assessed the quantity of services delivered by reviewing peripheral health units’ reports and registries. It also verified the quality of services provided by implementing a quality assessment. At hospital level, a “quality assurance committee” conducted quarterly quality assurance assessments and prepared a quarterly report which was submitted to MOHS. The hospital quality assurance report was verified both on an ad hoc basis and based on planned quarterly visits conducted by a peer hospital, the MOHS and the Hospital Directorate. In addition to this internal RBF verification process, an independent external verification agent was contracted to conduct periodic external verification at all levels. The main role of the external verification agent was to independently verify the accuracy of reported data, trace patients in the community and ascertain the quality of care. The PBF Light scheme showed overall positive results until the outbreak of the Ebola Viral Disease, which impeded project implementation. Nevertheless, the EVD provided an important opportunity to refine the design of the PBF scheme, and pilot it for five months in Bombali district. This model was known as “PBF Plus” and introduced a substantially larger financial envelope. Given the high costs associated with this pilot, the Government opted out of this improved PBF model. It nevertheless used lessons learned to strengthen the implementation of the project. The Government is currently reviewing the experiences of PBF Light and PBF Plus, and is designing a revised PBF model to be piloted in two districts starting in early 2018. Considerable delays were experienced in disbursing PBF payments. These delays were mainly caused by inadequate funding, poor initial understanding of internal verification procedures, an inefficient vetting process at the MOHS, and limited capacity of local banks in paying a large number of health facilities. These delays were also caused by the EVD. To at least halve these delays, the project focused on rationalizing the internal verification process, increasing both the frequency and timeliness of verification, and regularizing engaging and coaching stakeholders, including local banks. Additional attention was also given to strengthening management capacities to support the internal verification process. There are significant implementation challenges when a PBF scheme is rolled out nationwide without an initial pilot phase to test the approach. A clear definition of roles and responsibilities and the provision of constant coaching, particularly with regard to internal verification and payment mechanisms, are instrumental to ensure appropriate implementation. Implementation standards and guidelines must be developed and observed across the board. These guidelines can, for instance, help direct PBF payments toward priority facility improvements. 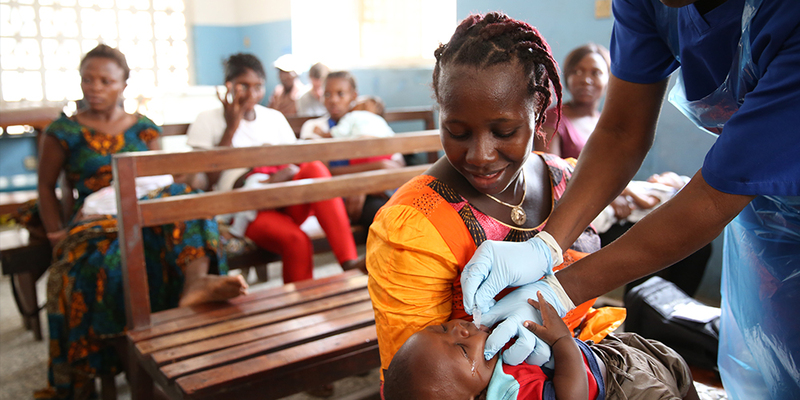 In Sierra Leone, this is exemplified by the use of the FIT framework, which ensures funds are used to respond to a health facility’s most pressing needs. Periodic progress reviews can help shift the focus on less performing indicators, especially faltering non-PBF indicators. A phased implementation approach can facilitate the identification of “control facilities” for an impact evaluation. Given the scale of the PBF scheme, an impact evaluation is not possible since there are no control facilities to test the counterfactual.